Welcome to my recommendations page. Here you’ll find products, services, and companies I use or know are valuable. This way you don’t have to search for that blog post that may have referenced it. All in one happy page! I personally have used and/or support the businesses or services on this recommendations page. I would not recommend anything I wouldn’t myself use. I’ll continue to add to this page as I grow and the site grows, so right now you’ll see a lot of information for how I got this site to where it is at. I’ll be adding information for other products, services and blogs I believe as well. Keep checking back! If you’re just starting to get to know me, you’ll know I’m a fan of organizing things, even though there are plenty of moments of chaos, I’m big on finding ways to keep things organized. One of the easier ways to keep things scheduled, including the family and doctor’s appointments, schedule’s, assignment due dates, playdates, etc. is using Cozi. Color code each family member, set up reminders, shopping lists, birthday reminders all from one convenient app. Best part, it’s free! Get those creative juices flowing and make stuff! One of my favorite things to do is make homemade items, cards, decorations, t-shirts and more. It helps relieve the stress and gets your brain thinking. 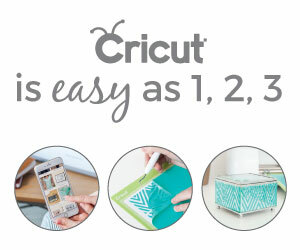 Cricut is pretty amazing and constantly developing and improving their products and services. I’ve owned the Cricut (Ad) Explore One and then upgraded to the Cricut (Ad) Maker and just love them both! Sign up for the Cricut access and get tons of fonts and graphics included with the subscription to enhance your creative experience. Find free files online, download cut files from Etsy. It’s such a great way to be creative and create amazing pieces. Like to save money? Hate searching for coupons to enter in at check-out? Honey does all the legwork for you. You can connect your Amazon account, and it will look for discounts. This also works on many online stores you probably already shop at. It’s a google chrome plug-in and will get do the dirty work for you within seconds. Try it out! I’ve been using a scheduler for Pinterest, but they also support Instagram scheduling and it’s really helped boost my impressions and site traffic. Check out Tailwind here. When I first started thinking about how to make some extra cash, I thought I’d look into available courses and stumbled across Michelle Schroeder-Gardner’s Making Sense of Affiliate Marketing. It’s a really great course that goes pretty deep into the inner workings of affiliate marketing. Michelle’s style is easy to understand and has really helped me with a strategy. Check out Making Sense of Affiliate Marketing for yourself. Want to learn more about the ins and outs of Pinterest? Check out Christina Root’s free e-course right here. Think you’re ready to commit to a more in-depth course, try out Pinterest 101. Christina does a great job of combining video tutorials and worksheets to teach pinning strategy for affiliate marketing and gaining momentum with impressions.